A Happy New Year to all friends of wolves! The festive season for me was one of very mixed emotions. Elated that Erin was finally getting better, even if slowly, one frustrating piece of news after the other hit me: The German Minister of Bad-taste Jokes, Klöckner, bitching about “making Germany safe of wolf attacks once more” in Trumpet style, locked-in-outdated-tradition Japan and the whales, the new Brazilian Über-Aryan tooting that his country’s rainforests were just “unused space”, and eventually the Horrorclown’s mock-administration trimming their sights on wolves once more. Criminals wherever you look these days! And then, just the day before yesterday, we learnt that two wolves, one of which I knew very intimately, were killed and one injured by a lightening strike at the sanctuary in Reitz. It was just too much! What have we got for you in our first newsletter of the year, in the fourteenth year since we started it? News snippets, of course, and most of them bad. Sorry, but it is certainly not our fault. We found a truly extraordinary contribution to the understanding of both man and wolf that we are very happy to reprint here and so make it available to an even broader public. I can only urge you to read what Rick Lamplugh has put together with his finely honed blade of a mind! We have a wolf tale, of course, and Erin gives all of us an update. Enjoy it! 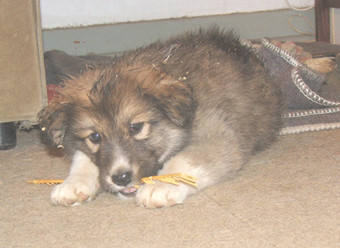 And if your New Year’s resolutions include doing something for needy wolves – 500 x 50 still needs a few people to join! Details can be found in the National News section. You Can Start the New Year with a Thrilling Adventure! Turn your vacation into a one-of-a-kind wilderness experience. 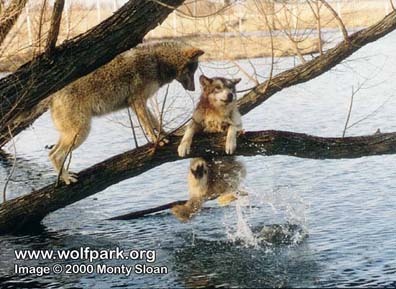 The International Wolf Center offers a variety of adventure programs for people of all ages. Our programs are all led by informative and enthusiastic wolf experts! Visit our website for a complete list of programs. Well I can hardly believe that it is already the 28th of December as I sit and frantically bash this out. Christmas has come and gone in a blur with much of the shopping done on the 24th, something I have always desperately tried to avoid and usually failed. Glenda and I got off a plane from business meetings in Dubai on the 20th Dec and hit the ground running, to top it off I have picked up some bug, which has left me with a middle ear infection in my right ear. I think about the short, (almost) four months since we had the meeting in Larry’s kitchen on the 8th September. Thanks to all the contributions, both financial and physical, I believe we have made a good start in this short time, and so may it continue into 2019. I am not going to bore you by listing all the thanks due to so many of you, and besides I am bound to leave somebody out unintentionally, it’s what happens at my advanced age. There is however 1 person I must single out for my (and I’m sure all ‘our’) heartfelt thanks, Larry Wayne Paul. You single-handedly did more than the rest of us put together and without your care and dedication, around three hundred (last count) animals would not have a home. Whilst the rest of us enjoyed a relaxing December and celebrated the New Year, Larry continued to take care of the animals no matter what day of the year or the weather or the finances….life at the sanctuary continues. Larry, what you do for these animals cannot be measured in normal terms, so from all of us a heartfelt THANK YOU and please continue to do what you are doing. We have already started thinking of some new (for HuskiRomi) ways of bringing in additional badly needed funds to step up a gear in the New Year and I would urge all of you who think of things to put them on the table and let’s see greater participation from all the Wolf People in 2019. I wish every single one of you everything of the best for the New Year and leave all of you with this challenge. Plan at least two visits to the sanctuary during the year and in doing so bring at least two ‘new’ visitors who have never been to our sanctuary. This is how we will spread the word about the great work that Larry and his team are doing there, and hopefully more people will try to help in their own ways. Just remember, “Mighty oaks from little acorns grow”. Summer is in full swing here at the sanctuary. Armed with a costume, I spent most of my recent time here in the sanctuary’s reservoir Hermanus, to cool down. There is quite something about having a swim while overlooking the animals in their enclosures at the sanctuary. On my first night we were a whole bunch of people in what I call a meeting of the United Nations in the water… Normally I only have the animals for company, but this time an American lad, French guy, British dude, Chilean lady and two Germans joined me. Hannetjie brought some foreign volunteers to experience the sanctuary and they camped over… We shared a fire with them and were very much impressed when one of the German men took over from me to braai the meat. We were mostly impressed because he didn’t burn any of the food – I was watching him like a hawk! I then continued to have an incredible “Birthmas” with Larry and the animals this year… It’s usually hard to celebrate my birthday as it falls on Christmas and most people are away or spending it with family. The weather here is hot but perfect so grab your tents, book the log cabin and come spend some time in the water and with the animals. This morning I read an article from the Cape Argus stating that a large percentage of holidaymakers never give their furry friends another thought before they take off on holiday. I am still taking Yiska and co out for almost daily walks in the neighbourhood and this made me think how obvious the changes at some of the houses in the area are where the humans have left on their well-deserved holiday break. 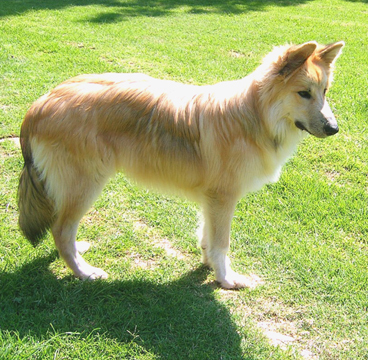 Dogs that are usually not close to the street are standing barking at the gates. Small dogs that can easily slip through palisade fencing are out on the sidewalks and at a couple of places the dogs are nowhere to be seen, hopefully away with their owners or booked into their very own holiday kennels. At one house an old Boerboel is just lying sadly at the gate the whole day, not even looking up to greet us as we walk on by. In all the cases I can but pray that they, as well as all the other types of furry friends, are well taken care of and by that I do not mean somebody coming to dump some food for them every second or third day of the week, which unfortunately is what happens in many cases. I also got worked up about the fireworks war that I was expecting over Christmas and especially on New Year’s Eve. I doubt if I will ever again be anyplace else than at home on New Year’s Eve to take personal care of Yiska, Wahya and Titus. When Yiska was a small pup, he was not perturbed at all by fireworks, but about three years ago we had something resembling a war zone in the area on New Year’s Eve and ever since then, he is extremely nervous and scared of fireworks and even far away thunder. We cannot do anything about thunder (which I find worse this year than in the past), but I honestly believe that there should be an outright ban on all noisy types of fireworks. Unfortunately the “me and I” crowd will arrogantly dismiss anything somebody like me has to say about it. Our wish, as a family, to you, your family and all your furry friends is a new year filled with the best that you can wish yourself. In closing the newsletter and the year I can only say, “wow, what a year this has been”. Frans has been with me for a number of years and this is what we always dreamt about, a proper working committee, good sponsors and a well-run sanctuary. This has been our biggest year since we started HRWS and a lot of you have been with us as we’ve grown. We salute you for jumping on board and for not jumping ship whenever we hit a stormy patch. I walk around with pride; people tell me what an amazing place HRWS is and this is all through the commitment of our ongoing supporters. The rondavel is taking shape nicely, no space for pictures but if you follow us on Facebook you will see regular updates on the progress. 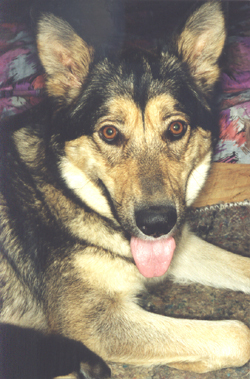 Biliary – our biliary has come down and I can only put a lot of this down to some herbal medication Gail Pedra has given us, which we give to our wolves on a weekly basis. We did start out on a rather aggressive action to get HRWS under control and now it’s once a week. You can contact Gail on 083 275 2076, apart from being a witch she also deals with horses so this is not only for wolves but all kinds of animals. Her farm is called Witch Wood. I want to thank you all once again and to wish you all a fantastic 2019, may you have all the wolf blessings that you deserve. Ever dreamt of working hands-on with wolves? Here is an opportunity of a lifetime! Note that this offer is available to volunteers from all over the globe! Why not combine volunteer work with an exotic holiday? Who do you recognize, who do you think you will find on our glossy pages? Each calendar costs ZAR 200,00 and you may choose to pick them up from a central point in JNB, (if possible drop-offs can be organized with the company), or you can have it sent to you personally via PostNet2PostNet for ZAR 99,00. You will be personally contacted to confirm your order. Alternatively, you can purchase your calendar when you visit our stall on Mutters Day on November 10th, pop in, say hi and meet our hardworking team! Remember, it’s tax-deductible, sustainable, no Rand is wasted, …and it really feels good to support a worthy cause! 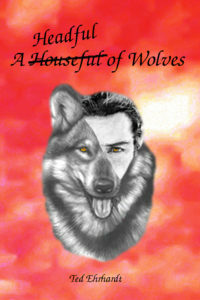 Wolfsschutz Deutschland on Facebook here. The coalition of CDU and SPD in Saxony has published a new wolf ordinance that is nothing else but a license to eradicate wolves in Germany once again. You can find the details here. The coalition of SPD and Die Linke in Brandenburg treats itself to a private wolf-killing commando while murderers are released from prison because there is not enough money and staff. Not possible? Read the info here. The minister of agriculture Klöckner (CDU) wrote an urgent letter to the minister of environmental affairs, Schulz, because she wants it to make easier to kill wolves in the future: more info here. All this happened in the short time span between Christmas and today. Germany again did not reach its climate conservation target, more and more people die of infections with multi-resistant germs, large-scale livestock farming and the ongoing usage of the dangerous fertilizer Glyphosat make people sick and kill insects by the truckload, and the wastewater treatment plants cannot clear the drinking water efficiently enough of all the drug residues, fertilizer toxins and germs. But the wolf is supposed to be the real problem? Thanks to the ever-growing lobby of citizens who fight against such human- and animal-scorning politicians, the wolf still has the highest protection status. This year the protest must not only go on, it must even be intensified. Wolf-free zones, wolf ordinances, and wolf shootings clearly contravene EU rights. Germany too has committed itself to these contracts and has to stick to them; otherwise Germany, respectively the federal states, will be fined. It already happened to Lower Saxony because it has established too few nature reserves. We, of Wolfsschutz Germany, will fight with all our strength for the wolf this year again. We will continue to inform, disclose fake news and, if necessary, take legal steps against politicians. We are out in the wolf areas daily, and we look for people living in the German wolf areas who love to be out in nature and want to play a more active role. We need people who act quietly and circumspectly and think before they do something. Self-promoters and those who threaten others don’t fit in with us. We are not interested in the sidekicks, we want the masterminds. Our members can act anonymously, and if charges must be laid we do that in the name of the association with our members remaining protected. Last week we received a number of documents, which are in connection with the draft for the new Saxony wolf ordinance. It’s called “Contingency actions against encroaching wolves”, written by Dr. Georg Brüggen, lawyer and former minister, in August last year. Starting with the options to bypass animal protection through to definitions of origin, this ordinance is a slap into the face of nature and animal protection. 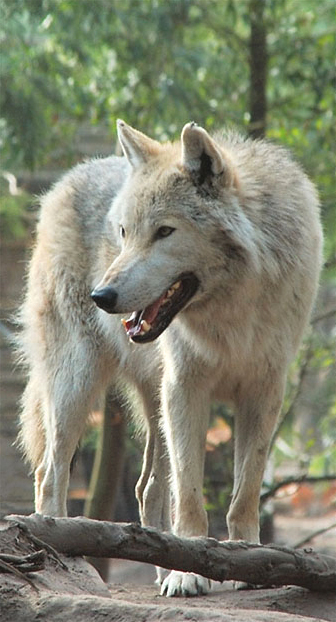 In Saxony, the wolf falls under game law, but until now remained protected all year round. In the future, however, the shooting of wolves shall be allowed. All that makes it clear who really rules Saxony: the farmers lobby. We have published the ordinance for you here. Wolves dodged a major threat from Congress this year but an even bigger attack is on the horizon. Donate today to fight the Trump Administration’s plans to kick gray wolves off of the endangered species list and a group of generous donors will match your gift–doubling your wolf-saving impact: Donate here. Gray wolves have only just begun to return to all of the wild places they once roamed before being eradicated by hunting, trapping, and habitat loss. Our efforts to bring them back have achieved successes that are truly worth celebrating–wolves now roam the Northern Rockies and are expanding every year. But all of this is at risk from the Trump Administration. The Trump U.S. Fish & Wildlife Service is likely to announce soon that it plans to remove Endangered Species Act protections from wolves across the continental United States. You read that right. Every gray wolf in every state could lose the crucial protections that have allowed them to recover to their current fragile state. 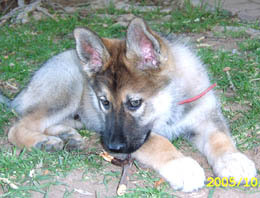 This would lead to hunting, trapping, and in the case of Wisconsin, the use of packs of dogs to chase and kill wolves. The courts ruled in in 2017 that wolves in the Great Lakes region were entitled to protections after the USFWS attempted to strip them of these protections years before that. Help stop the Trump Administration’s plan to allow wolf hunting nationwide with your year-end 100% tax-deductible donation today: Donate here. The likely national delisting of gray wolves is the Trump U.S. Fish and Wildlife Service’s reckless attempt to get around the requirements of the Endangered Species Act that the court based its decision on. Because the Service is unable to legally remove protections for wolves in one region, it intends to remove them from all. This is a grotesque abuse of the Endangered Species Act and will set back wolf conservation–and the conservation of other species that the Trump administration could decide are politically inconvenient–immeasurably. We are already working with our organizational partners and activists around the country to fight it, but I need your help. Please make your year-end gift today to stop this attack on gray wolves and the Endangered Species Act: Donate here. Last year–this Congress and administration–was a very challenging period for endangered species and for our country’s gray wolves in particular. Members of Congress that are intent on taking the protections these majestic animals need tried time after time to pass legislation to do so. And every time they tried, you stood up. When endangered species needed you most, you spoke out in defense of wolves and of endangered species protections. You called, you emailed, you tweeted, you even went to the local offices of your senators and representatives to tell them that you expect them to protect the Endangered Species Act. You did all of this to keep gray wolves and other imperilled species protected and to keep the law that safeguards them safe. So today, I want to thank you on behalf of our community and the plants, fish, and animals it works to protect. Your support was and will continue to be crucial to our success in keeping gray wolves and other endangered species safe. We need to hit the ground running in 2019 to fight attacks that we know are yet to come and those that are in progress, such as the massive weakening of the Endangered Species Act the administration began this year. Thank you for everything you did in 2018 and for your ongoing support in the New Year to keep endangered species protected. Due to the federal government shutdown, updates for the month of December were only available for Arizona and the FAIR. Program updates for New Mexico from the month of December were not available from the USFWS at the time this report was prepared. Past updates may be viewed on these websites. Interested parties may sign up to receive this update electronically by visiting azgfd.com and clicking on the E-news Signup tab on the top left corner of the webpage. This update is a public document and information in it can be used for any purpose. 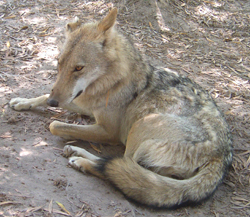 The Mexican Wolf Recovery Program is a multi-agency cooperative effort among the Arizona Game and Fish Department (AZGFD), USDA Forest Service (USFS), USDA-Animal and Plant Health Inspection Service, Wildlife Services (USDA-APHIS WS), U.S. Fish and Wildlife Service (USFWS) and the White Mountain Apache Tribe (WMAT). Please report any wolf sightings or suspected livestock depredations to: the Alpine wolf office at (928) 339-4329, Pinetop wolf office at (928) 532-2391 or toll free at (888) 459-9653. For sightings or suspected depredations on the FAIR, please call the FAIR wolf office in Whiteriver at (928) 388-4385 ext. 226. To report incidents of take or harassment of wolves, please call the AZGFD 24-hour dispatch (Operation Game Thief) at (800) 352-0700. Due to the federal government shutdown, updates for the month of December were only available for Arizona and the FAIR at the time this report was prepared. The year-end minimum population count for 2017 was 114 wolves in the wild in Arizona and New Mexico. Annual surveys are conducted in the winter as this is when the population experiences the least amount of natural fluctuation (i.e. 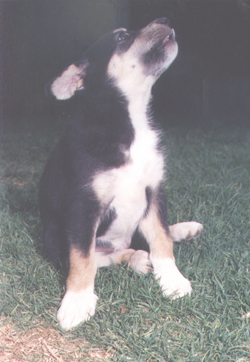 in the spring the population increases dramatically with the birth of new pups and declines throughout the summer and fall as pup mortality generally occurs in this period). Thus, the IFT summarizes the total number of wolves in the winter at a fairly static or consistent time of year. Counting the population at the end of each year allows for comparable year-to-year trends at a time of year when the Mexican wolf population is most stable. Year-end population counts for 2018 continued during the month of December. In December, the IFT documented the Bear Wallow Pack in their territory on the east central portion of the Apache-Sitgreaves National Forest (ASNF) and occasionally on the SCAR and the FAIR. Yearling f1683 and AM1338 were documented travelling separately. In December, the IFT documented yearling f1686 making dispersal movements from the pack’s territory within the eastern portion of the ASNF. In December, the IFT continued to document M1477 travelling with an uncollared wolf in a territory in the east central portion of the ASNF. In December, the Elk Horn Pack was located within their traditional territory in the north-eastern portion of the ASNF. The IFT continued to maintain a diversionary food cache to reduce the potential for human-wildlife interactions near residences. The IFT conducted hazing efforts on the Elk Horn Pack on one occasion when the pack was located in the community of Alpine. 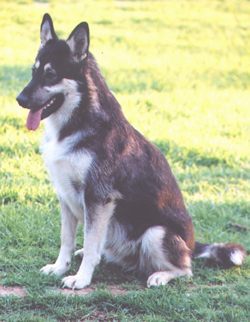 Male mp1695 was documented travelling separate from the rest of the pack in New Mexico. In December, the Hoodoo Pack was located within their traditional territory in the north-eastern portion of the ASNF. Yearling, m1677 was documented travelling separate from the rest of the pack in the east central portion of the ASNF. Male mp1789 was documented making dispersal movements from the pack’s territory in the east central part of the ANSF in December. In December, the Pine Spring Pack was located within their territory in the north central portion of the ASNF and occasionally in the north eastern portion of the FAIR. The IFT continued to maintain a diversionary food cache for this pack to reduce potential for wolf-livestock conflict. 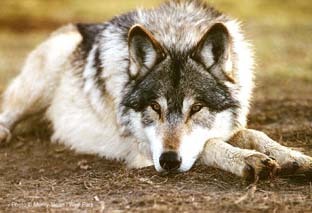 In December, the IFT documented the Prime Canyon Pack within their territory in the east central portion of the ASNF. The IFT maintained a diversionary food cache for this pack to reduce the potential for human-wildlife interactions near residences. 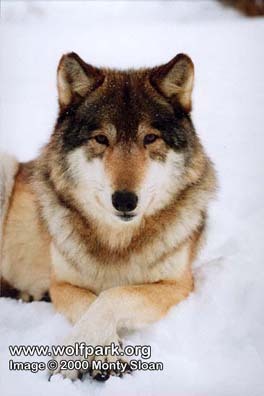 In December, the Saffel Pack was located in their territory in the north-eastern portion of the ASNF. Yearling m1661 was found dead in AZ; the incident is currently under investigation. In December, the Sierra Blanca Pack was located in their territory in the north-eastern portion of the ASNF. In December, the IFT documented F1489 travelling in the north and east central portion of the ASNF. In December, the IFT documented M1574 travelling in the east central portion of the ASNF, the SCAR, and the eastern portion of the FAIR. In December, the IFT documented AM1382 travelling in the east central portion of the ASNF. 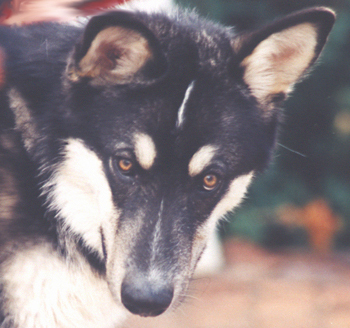 In December, the Baldy Pack was documented travelling in the eastern portion of the FAIR and the north central portion of the ASNF. In December, the Maverick Pack was located within their traditional territory in the eastern portion of the FAIR and east central portion of the ASNF. In December, the Tsay-O-Ah Pack was located within their traditional territory in the eastern portion of the FAIR. They were occasionally documented travelling in the east central portion of the ASNF. M1559, from the Tu dil hil Pack, has been documented travelling with the Tsay-O-Ah Pack since September 2018 and is now considered part of the Tsay-O-Ah Pack. In December, F1679 of the Tu dil hil Pack was documented travelling in the eastern portion of the FAIR. In December, M1824 was documented travelling in the eastern portion of the FAIR, north central and north eastern portions of the ASNF and the north-western portion of the Gila National Forest in New Mexico. Updates for wolf packs in New Mexico from the month of December were not available from the USFWS at the time this report was prepared due to the federal government shutdown. 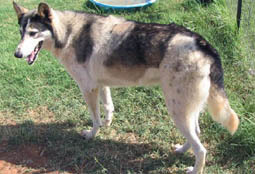 During the month of December, yearling m1661 of the Saffel Pack was located dead in Arizona. The incident is under investigation. December mortality data for New Mexico was not available from the USFWS at the time this report was prepared due to the federal shutdown. 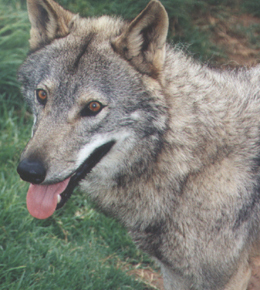 During the month of December, there were no confirmed wolf depredation incidents on livestock in Arizona. There was one nuisance incident in Arizona. December depredation and nuisance data for New Mexico was not available from the USFWS at the time this report was prepared due to the federal shutdown. On December 8, the IFT hazed the Elk Horn Pack after locating the wolves in an open pasture in Alpine, AZ near residences. On December 5, WMAT investigated a dead calf on the FAIR. The investigation determined the calf was a confirmed dog kill. There were no communication/coordination updates from Arizona during the month of December. In December, Emily Schafsteck and Jared Black joined the Mexican Wolf Recovery Program to work for the Arizona Game and Fish Department as wolf technicians. Welcome Jared and Emily. While some people see wolves as vicious killers to be feared, hated, and eradicated, I see them as essential predators that we have much in common with. Some commonalities lead to conflict. Our similar preferences in habitat encourage clashes. Wolves can live most places we do: forests, prairies, tundra, mountains, deserts, swamps. They can thrive even in Europe and Asia, areas dense with humans. Our similar tastes in food leads to competition. Wolves and humans both enjoy sheep, cattle, deer, and elk. Many humans would rather kill wolves than share with them. Wolves and humans are both territorial. We string barbed wire, draw lines on maps, and kill thousands of wolves in our misguided attempt to protect “our” territory. But some similarities don’t necessarily create conflict. If we understand these other ways we are similar to wolves, we might feel a stronger bond with these essential predators. Both species evolved in similar ways, in families, found strength in numbers. Members of any healthy family—human or wolf—assume specific roles. Like human parents, the alpha pair makes decisions and controls the pack. 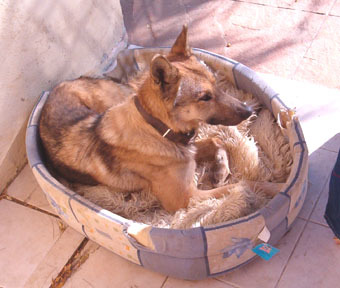 Other members contribute to the pack’s survival. In their families, wolves—like humans—play, show affection, feed and discipline their young, and mourn their dead. Wolves and humans exhibit a range of different personalities: some are loners; some are lovers; some are leaders. 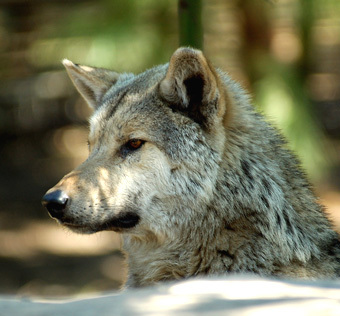 Wolves and humans both use non-verbal communication. A wolf’s postures and facial displays express aggression and fear, dominance and submission without words. 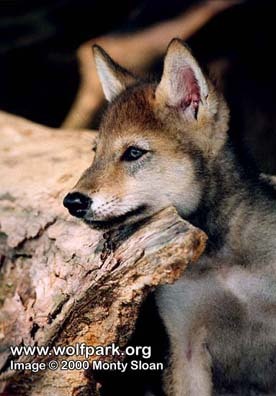 Wolves, as well as coyotes, red foxes, and domestic dogs, even experience “human” emotions such as joy and grief. In his book, The Emotional Lives of Animals, evolutionary biologist Marc Bekoff writes that while animals may experience some emotions that humans can’t understand, we can understand many of their feelings. Observing is the key. 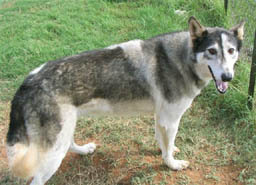 Bekoff observed, for example, how body language revealed the grief a pack of wolves felt after losing a low-ranking female. The grieving animals lost their spirit and playfulness. They no longer howled as a group. Instead, they sang alone in a slow mournful cry. They held their heads and tails low and walked softly and slowly when they came upon the place where a mountain lion had killed their pack mate. I’m struck by how the changes are similar to those a human family may experience after losing a loved one. I don’t always associate the words compassion and empathy with wolves and coyotes. Sometimes when I observe both these animals in Yellowstone, I see a dog-eat-dog world: an alpha puts an upstart in its place, two packs battle over territory, a coyote dies trying to share in a wolf pack’s feast. But wolves and coyotes live in tight social groups built on a network of relationships that depends on trust, reciprocity, and flexibility, just as human relationships do. Animals in such groups, say Bekoff and Pierce, live according to a code of conduct that discourages some behaviors and encourages others, that fosters cooperation and coexistence. Philosopher Mark Rowlands also believes that many animals—including rats, chimpanzees, and dogs—feel emotions such as love, grief, outrage, and empathy. When acting on those emotions, animals choose to be good or bad. In his book, Can Animals Be Moral?, Rowlands presents examples suggesting that animals know right from wrong. Though humans possess a more developed moral consciousness, he says that animals can act for reasons that require an awareness of and concern for others. They can act morally. Several years ago, a group of prominent scientists signed the Cambridge Declaration on Consciousness. The scientists declared that rapidly evolving scientific evidence shows that many animals are conscious and aware in the same way humans are. And that animals act with intention. Consciousness, awareness, and intention are keystones of morality. 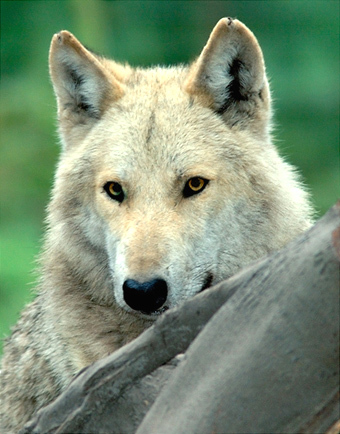 If we accept that we have much in common with wolves, we must treat them differently. Rick Lamplugh lives in Gardiner, Montana, USA, and writes to protect wildlife and preserve wild lands. His bestselling In the Temple of Wolves and the award-winning sequel, Deep into Yellowstone, are available signed from Rick or unsigned on Amazon. The air carried a stillness, a gentle reminder of the wounds, which his mate now tended too. The green eyes quietly closing with every loving touch, the wounds of past and past lives forgotten about in the quiet folds of the snow and the fading sun. His eyes scanned, almost lost in the moments when she would nurture him back to health, fixating on some unknown quality, which evaded every other living soul. In the hunts, she ran with him; a quiet thunder padded out on the soft folds of early snow. In the pack there were only two, he and his mate. Her beautiful grey coat was bushy, her eyes always locked on him as he left to get food or snarled innocently to avoid confrontation. 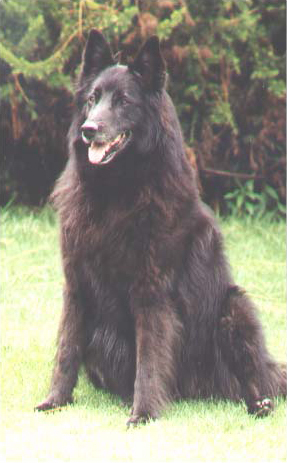 His black coat was never hard to miss, the imprint of love and faithfulness written all over his smile. As the winter subsided, she could hear his heartbeat, calling out beyond the love they had. In the approaching sun she knew that his time would be coming soon, that the bonds of trust would transcend into heavens shadows and she would be alone. As he kissed and said good-bye to her, her tail cowered, left without a reason to cry as he left one last time. The night called with a warning, the crows melancholy voices screeching of death and shadows…after midnight the wolf came home, his spirit rested and laid beside his mate, unaware of the dream of living which had passed him by. A Happy New Year to all of you, and I’m happy to report that I’m back amongst the living. Usually I’m not one getting sick often – a cold every 3 to 4 years is what usually happens to me on that front – but this time it really hit me hard. After not feeling myself for quite some time I came down with an outbreak of shingles in my face, covering my left forehead and eye. There had been no warning, it just happened from one day to the other, leaving me looking like somebody who was about to go to a Halloween party, not to mention the pain, fever and complete loss of energy. I rapidly lost a lot of weight and still struggle to regain my strength, but I’m on a good way and feel better by the day. The worst experience during that ordeal was that whenever I came close to a computer screen or cell phone it triggered an immediate pain attack, so severe that it almost made me faint. So much for electromagnetic smog not being a threat to your health. However, I’m looking and feeling like a human again and even had a chance to enjoy the Christmas season and the New Year celebrations, the latter of which were much to our liking in that they were amazingly quiet. The morning of the 31st we had received an e-mail from our municipality reminding everyone that the use of fireworks without a special licence was strictly forbidden, that you would be heavily fined if caught, and that security and police were on extra patrols to catch everybody violating this rule in the act. At midnight we indeed only heard some fireworks going off in the distance, most likely from one or two of the restaurants in the area having a New Year’s Eve party and a licence. It was raining quite hard and we were not sure if the general calm was thanks to the new rules or just the rain, but the next day was dry and it was still quiet, and we and our animals were grateful for that. Thanks to the municipality for finally making this decision! I’m also happy to report that the rainy season has started eventually up here, which is very welcome and a great relief. It’s so nice to see the garden turning green again and everything being in full flower, and the dust has settled nicely, too. The only problem is that the rain almost always comes in the company of a thunderstorm. After our garden cottage was hit by a bolt of lightning three years or so back Taima turns into a nervous wreck the moment she hears thunder even from afar. She moves around like an anxious tiger in a cage, walking from one room to the next, shivering like leaves on a tree in a storm, breathing heavily and very fast, and there is nothing we can do but try and convince her that everything is perfectly fine and that nothing can happen to her. It’s particularly bad when it happens during the night, because nobody can get to sleep until it’s over. We tried quite a number of remedies, but we cannot keep her drugged all the time just in case we get a thunderstorm, and the moment we know there is one coming it will take too long for the effect to kick in or you cannot get the stuff into her in the first place. First it was only she, but in the meantime she has also infected Kajack; he is not as bad as she is, but you can clearly see that he doesn’t feel comfortable and finds Taima’s behaviour very alarming. Ascar is the only one staying calm, but he seems to be a bit overwhelmed by all this nervousness, not knowing what to do to calm his pack down, so he will do what he can do best – beat up Kajack. I think he is just insecure of what to do, but thinks he has to do something and so he goes for the lowest-ranked in his pack. The funny thing is when Ted then reprimands him he comes and wants to get on his leash, looking for it and trying to push his head through the smooth chain. Then Ted will help him with it and he just lies down next to us, turning very quiet and even falling asleep. It looks as though all he wants is to get rid of the responsibility for his pack, and the moment he is on leash he will have handed this responsibility over to Ted and it is no longer his job to find a solution to the problem. No matter how old you get or how many years you live with these amazing animals, you keep on learning something new. Now, when we hear a thunderstorm coming we will put his leash on the table so that he can decide if and when he wants it, and Kajack can now relax, too.